Want the ultimate vacation amenity? 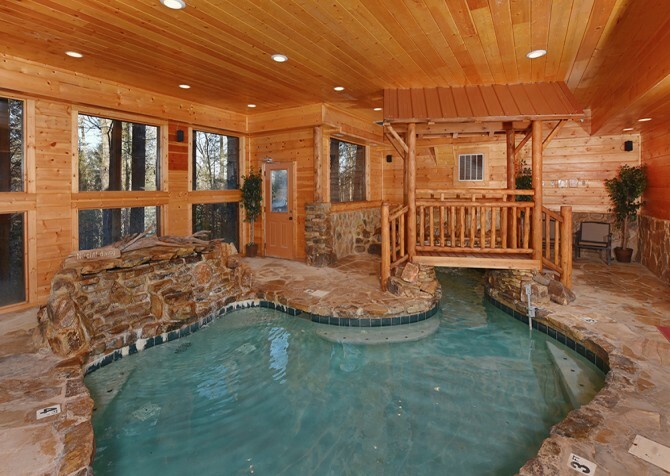 A private pool in your Gatlinburg or Pigeon Forge cabin is just the ticket. Outdoor pools are a respite from the hot Smoky Mountain days, while indoor pools are perfect for splashing around and relaxing in any season. They're a treat for both kids and adults, offering a way to stay entertained when you don't want to get into town. Our cabins with pools also offer a huge range of amenities: big screen TVs, indoor jetted tubs, private theater rooms, rec rooms with game tables, awesome mountain views, fully equipped kitchens, washer/dryers, Wi-Fi, cozy bedrooms, spacious living rooms, great deck spaces...and the list goes on and on. Browse below to find the perfect fit, with options ranging from 1 to 10+ bedrooms! You can get away for a retreat, reunion, or fun weekend with friends and enjoy an awesome pool without leaving the cabin. That means no hauling toys, towels, and kids around! 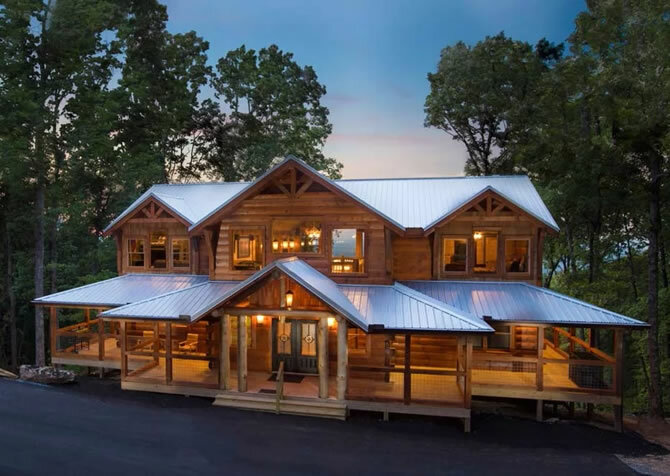 This 5-bedroom cabin in Pigeon Forge offers games, community pool access, TVs in every bedroom, and over 4,000 square feet of space for fun group getaways. 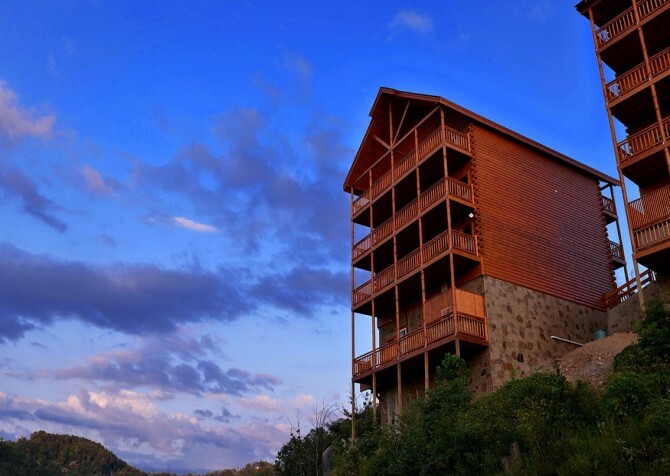 Enjoy the big screen TV and Blu-ray player, mountain views, and high-speed wireless internet. 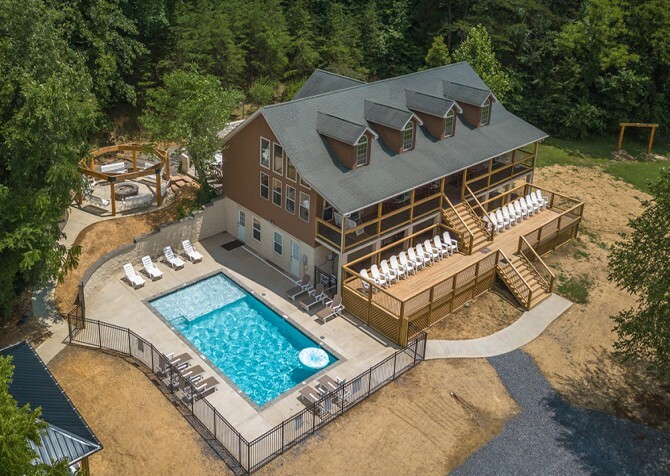 Deck space abounds at this huge Pigeon Forge lodge, boasting a private indoor pool with soaring ceilings, Wi-Fi, a movie room with tons of sofa seating, plenty of dining space for a group, game tables, and a kitchen with double appliances! With 4,000+ square feet of space, Paradise Peak offers modern upgrades, unforgettable mountain views, and space for up to 20 guests. 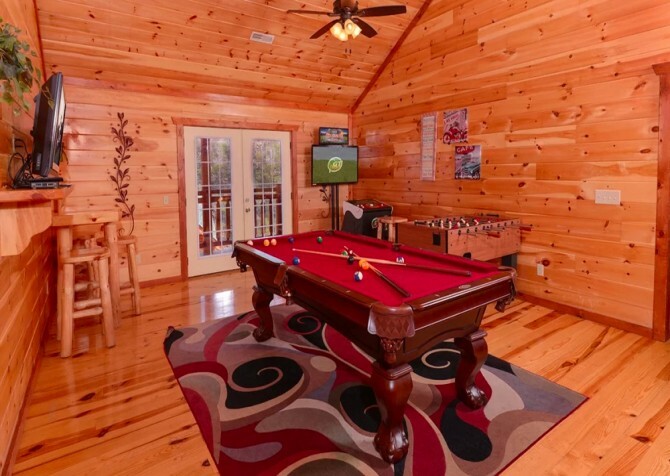 Enjoy a game-loaded loft, theater room, and community pool access at this Pigeon Forge cabin! Stay entertained in between exciting adventures to downtown Pigeon Forge, just under 3 miles away, while staying in this gorgeous 3,000-square-foot cabin boasting fun amenities like a private indoor saltwater pool, tiered seating and large flatscreen TV in a home theater, and loft rec room complete with arcade games, pool table, and flatscreen TV. 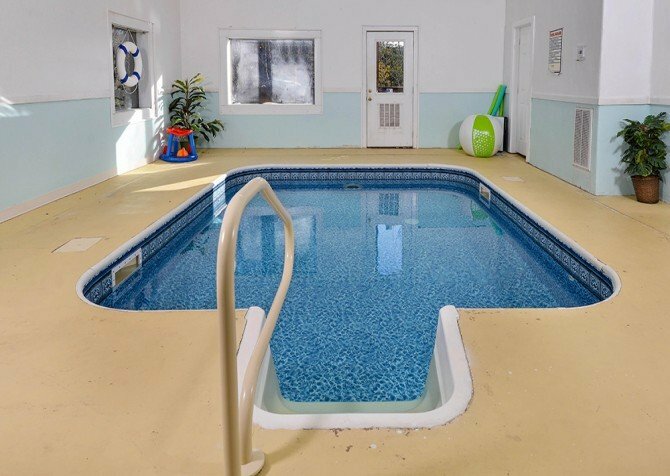 An indoor pool is the beginning of fun at Keaton’s Kottage. This large group lodge also provides outdoor community pool access, 2 outdoor hot tubs, a private theater room, and a game-filled loft that will make you think you’re at a Pigeon Forge arcade. Families and groups should check out Big Bear Plunge for their next venture to the Smokies. 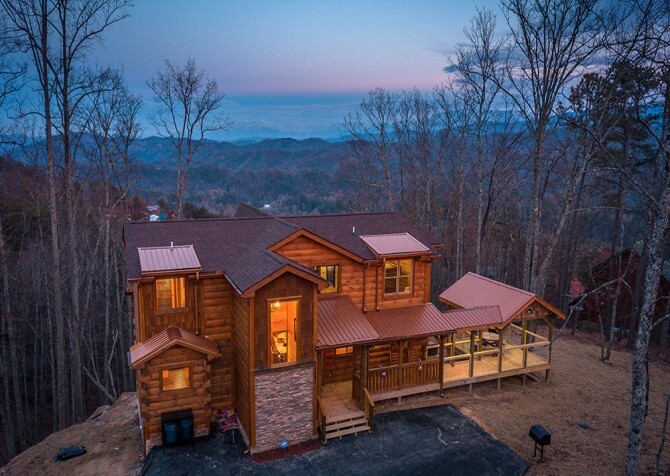 Easily accommodating 12, this Smoky Mountain cabin comes fully equipped with amazing amenities like a private indoor pool and a home theater system! 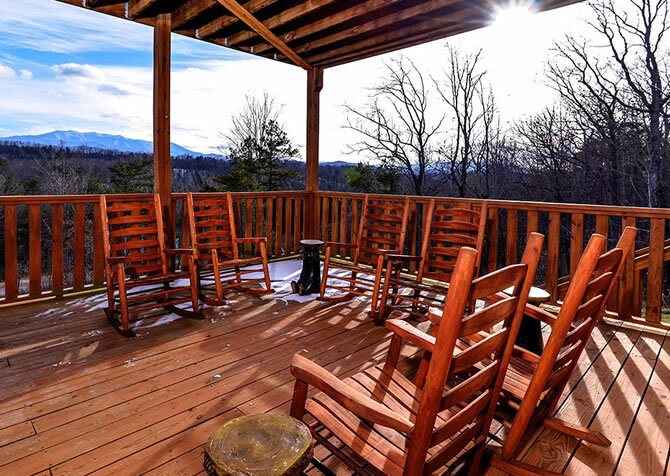 Great outdoor spaces – with rocking chairs to relax and enjoy a drink – boast mountain views at this 4-bedroom Pigeon Forge cabin. On top of a private indoor pool, it features high-speed wireless internet, a washer/dryer, and arcade games and a pool table! Boasting a separate building for its own private pool, this awesome 3-bedroom cabin for 10 is all about the details. 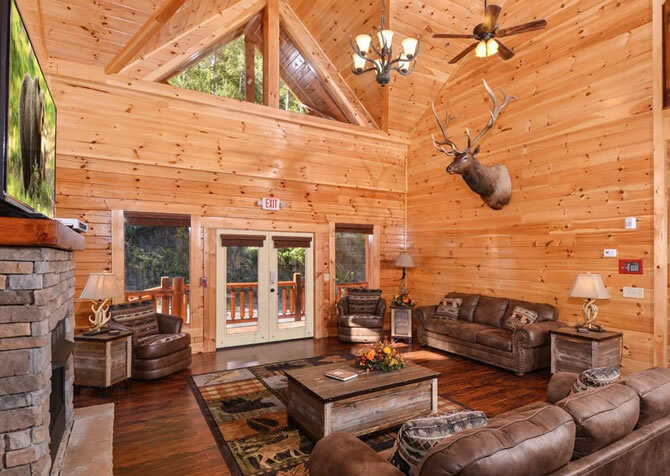 Log furniture, stonework, custom log trim, and a huge tree fireplace in the open living room make this Gatlinburg cabin stand out. With a private pool and plenty of space for a group, Sierra Springs offers comfort, luxury, and convenience. The pool room features a heated saltwater pool, big screen TV, dining table, waterfall, and a dehumidifier that keeps the room comfortable. 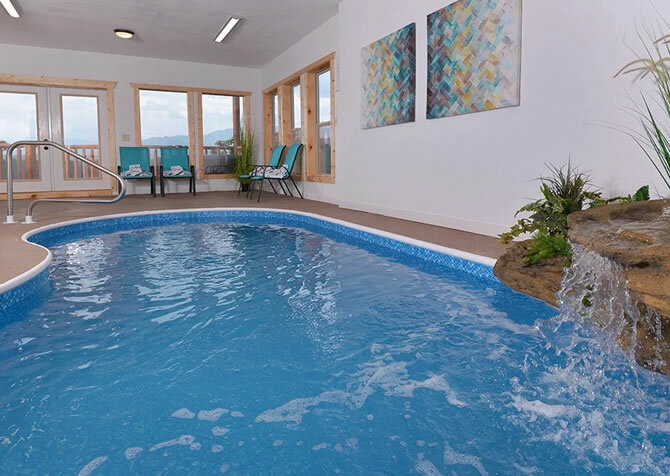 Swim all day or splash all night at The Appalachian, a large-group lodge featuring a stunning private indoor pool with color-changing lights and fountains plus unbelievable mountain views a mere glance away. 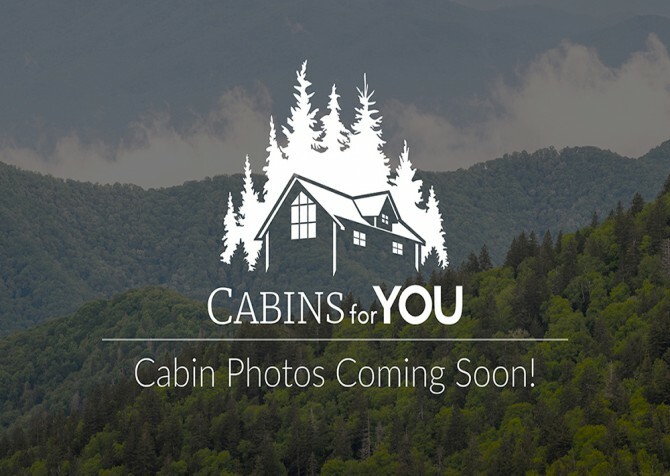 Bring family and friends for an unforgettable cabin stay at this 5-bedroom cabin for 16, boasting a rec loft, big screen TV, a steamy hot tub, and more! The 4-bedroom Savannah Splash features more than 3,000 square feet of space for a small group getaway — just 4 miles from downtown Pigeon Forge —with game tables, a home theater, and a private indoor pool for year-round swimming! 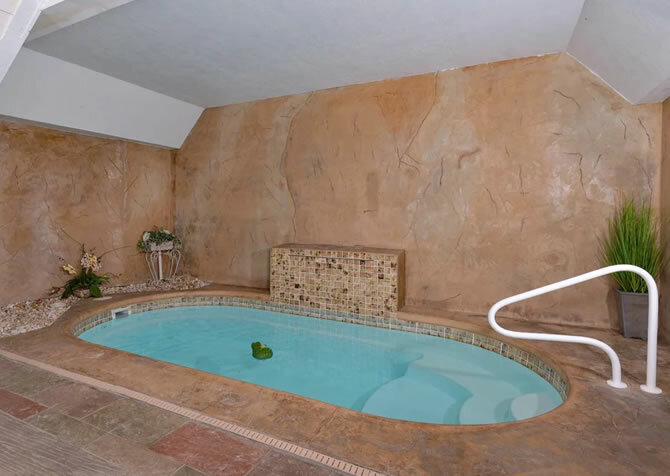 Applewood Manor offers more than just an indoor pool—it offers a stunning resort-quality pool room with natural stone walls and columns, tile floors, comfortable seating, and an indoor hot tub to boot – just a few miles from downtown! 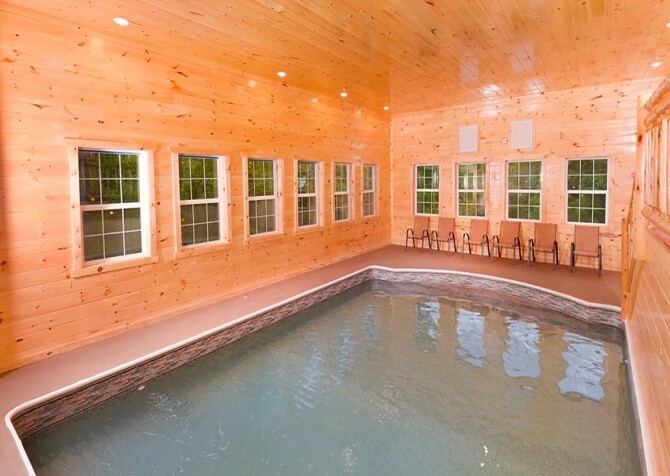 Splash the days away in your private indoor pool at this modern 11-bedroom cabin for 38, located less than 7 miles from downtown Pigeon Forge. Enjoy your own covered picnic area, big screen TVs, your own movie theater, a rec room, and more! 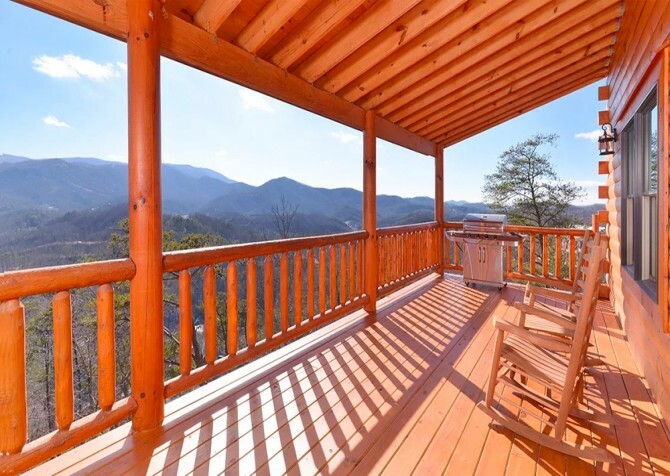 A private retreat awaits you when you arrive at this 4-bedroom Gatlinburg cabin rental. Head to the game room for some fun on the air hockey, pool, or foosball tables and take advantage of internet access, a washer/dryer, a swim spa, and a location just a few miles from downtown. Point of Grace is the place to be for mountain views, movie nights in your own theater room, soothing soaks in the outdoor hot tub, and relaxing swims in the private indoor pool! And it’s only minutes away from downtown Pigeon Forge. Great outdoor spaces are never in short supply at this gorgeous cabin for 34 with plenty of privacy. Play in the huge yard, swim in your private outdoor pool, sit around the firepit at night, grill and picnic, and enjoy outdoor meals on the patio. Sleeping up to 16 guests with 5 bedrooms and 6 bathrooms, Slice of Heaven offers tons of fun for family and friends — including a private indoor pool with mountain views! Splash around all day, play games in the loft, watch films in the theater room, unwind in the outdoor hot tub, prepare kabobs on the gas grill, and snooze in a king-size bed! 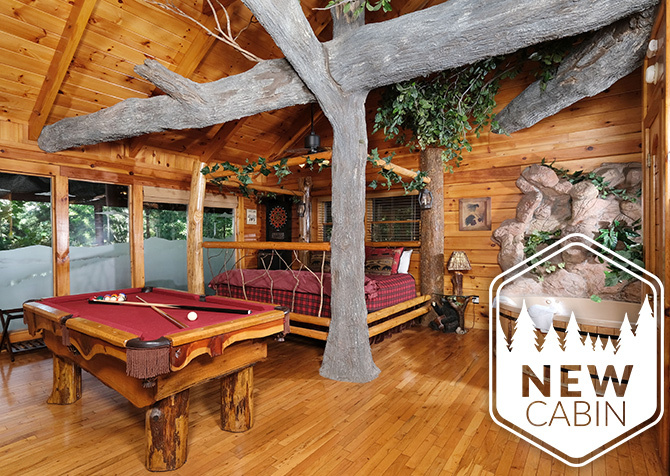 The spacious pool room with wood ceilings and stone details is a showpiece in this modern lodge-feel cabin. Entertaining extras like the big screen TV and Blu-ray player, shuffleboard and foosball tables, and arcade games make stays more fun! 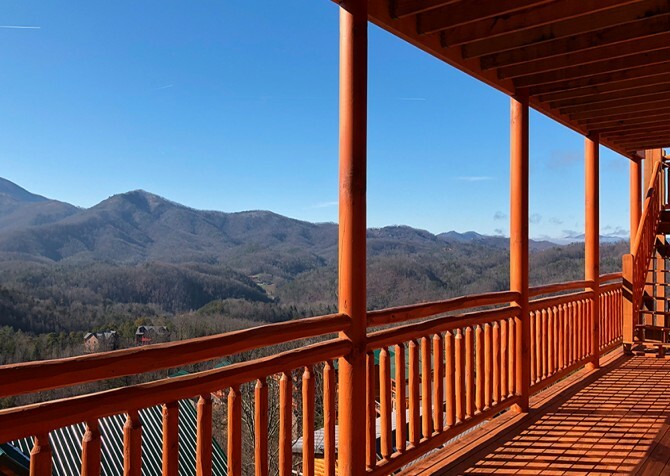 An awesome Smoky Mountain view isn’t the only impressive feature of this cabin just a few miles from downtown. It boasts a private indoor pool with beautiful stone features, high-speed Wi-Fi, a big screen TV and DVD player, and more! 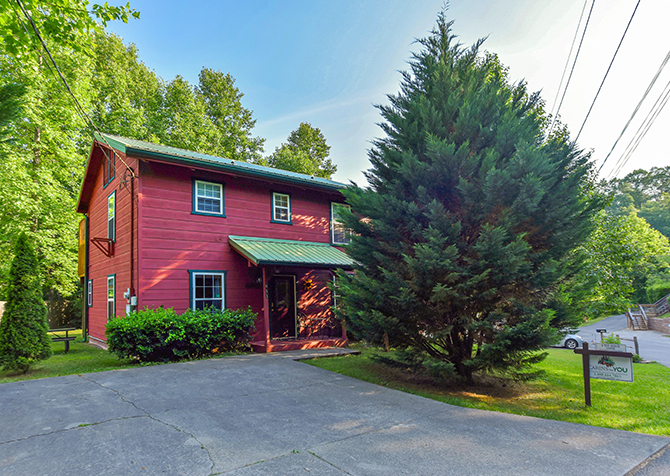 Less than 10 miles from downtown Pigeon Forge, this gorgeous 8-bedroom retreat is loaded with fun. 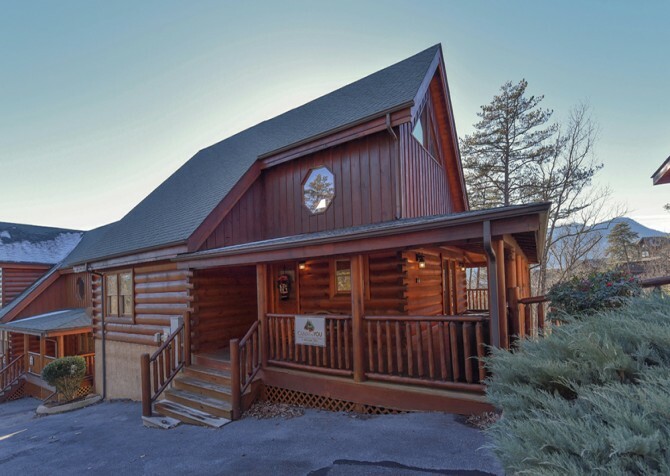 Along with a private indoor pool, the cabin features a luxurious kitchen, stunning mountain views, lots of dining space, a private home theater, and a rec room! 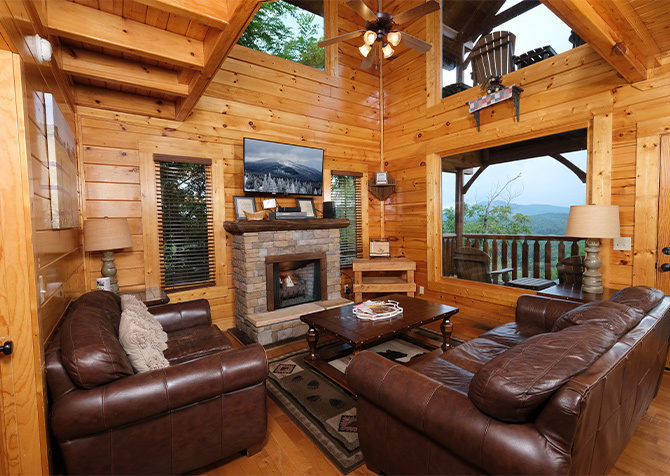 Walking distance to downtown Gatlinburg, this cozy 1-bedroom cabin for 2 is a perfectly romantic retreat near downtown. Relax in your king-size bed, unwind in your own pool, or cozy up in front of the fireplace and big screen TV. 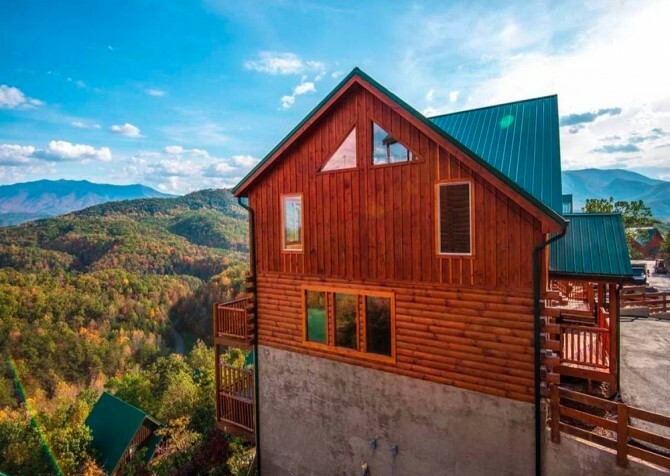 Decked in holiday cheer year-round, this festive 2-bedroom cabin in Pigeon Forge features a soothing outdoor hot tub, a projector and screen for movie nights by the private indoor pool, games, views of Mt.LeConte, space for family and friends, and more! 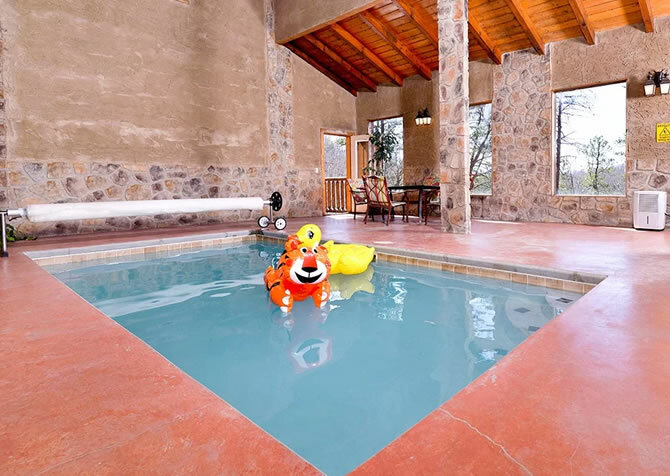 From custom tile details and beautiful mountain views to a flatscreen TV and fun water features, the private indoor pool at A Point of View is sure to be a favorite with kids and adults. Splash year-round and regardless of weather, or head outside to enjoy soaking in the hot tub and sipping a drink on the decks looking out at the mountains. This 2-bedroom +loft, 3 ½-bathroom cabin for 12 also boasts game tables, wireless internet, gas and charcoal grills – and it’s pet friendly! Brand new for YOU — Hilltop Plunge boasts 3 king bedrooms, 4 full bathrooms, and room for 12 with homey conveniences and entertaining amenities for all ages! Splash in the private indoor pool (or resort community pools), play foosball in the rec room, whip up feasts in the fully equipped kitchen, and soak tired muscles in the steamy hot tub. 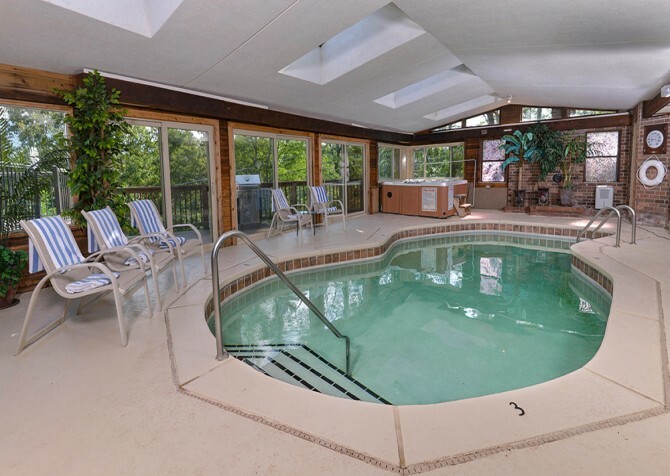 Splash around in your own private indoor pool at the Edge of Paradise in the Smoky Mountains! Sample champagne with a mountain view, play a friendly — or competitive — round of pool, and cuddle up with your love for movie night on the big screen TV. At Jennie’s Cove, your group will find tons of ways to relax thanks to the soothing outdoor hot tub and peaceful rocking chair porch. 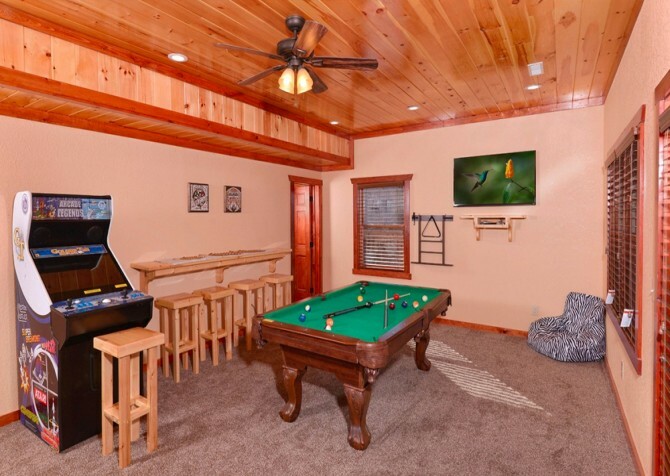 You’ll also find plenty of places to play, including a game room, theater room, and a private indoor pool! Luxury all around, the stunning Mountain Cascades Lodge boasts an amazing movie theater with tons of seating, gorgeous private indoor pool with lighting effects and a big screen TV, luxurious bedrooms, high-end furnishings, a game loft, and more! 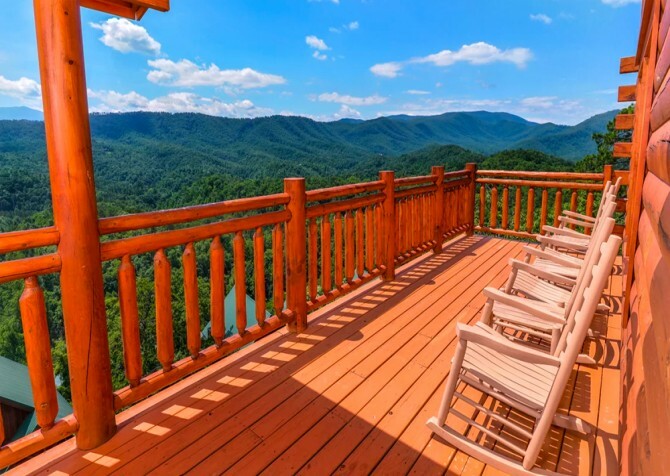 Breathtaking Smoky Mountain views, multiple big screen TVs, classic arcade games, 5 electric fireplaces, 4 king suites, 3 spacious decks with rocking chairs and an outdoor hot tub with TV…it’s hard to pinpoint the best feature at Splash ‘N Views. Oh, wait — it’s probably the private indoor granite pool with a waterfall feature and multi-colored underwater lights! 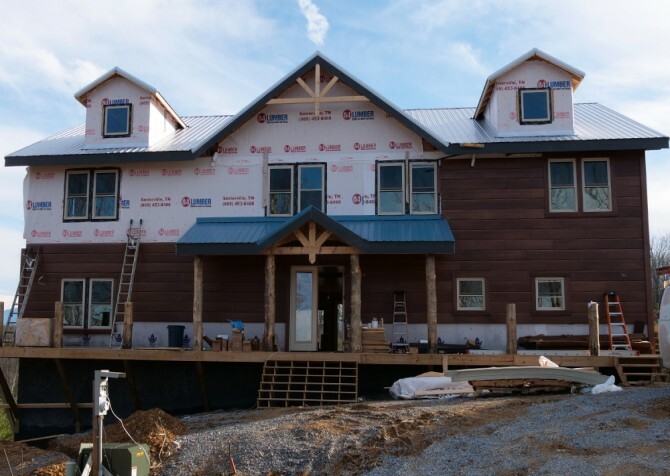 This 10-bedroom, 10-bathroom lodge for 48 in Pigeon Forge is a stunner! The private pool house features a 27-foot kidney-shaped pool with a waterfall and custom lighting effects, dining tables, a mini fridge and high-capacity ice maker, a sun deck, and an outdoor pavilion with a story-and-a-half fireplace, outdoor kitchen, and comfortable seating! And that’s just the pool! The cabin also boasts a movie room, 2 hot tubs with TVs, double appliances in the kitchen, handicap features, and so much more! What’s more romantic than a private indoor pool for 2? 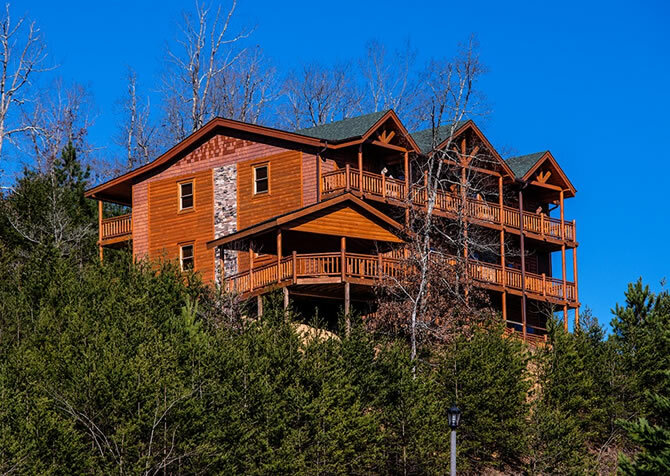 This 1,600-square-foot cabin less than 2 miles from downtown Pigeon Forge also offers an outdoor entertainment center with a fireplace and flatscreen TV and a king-size suite! 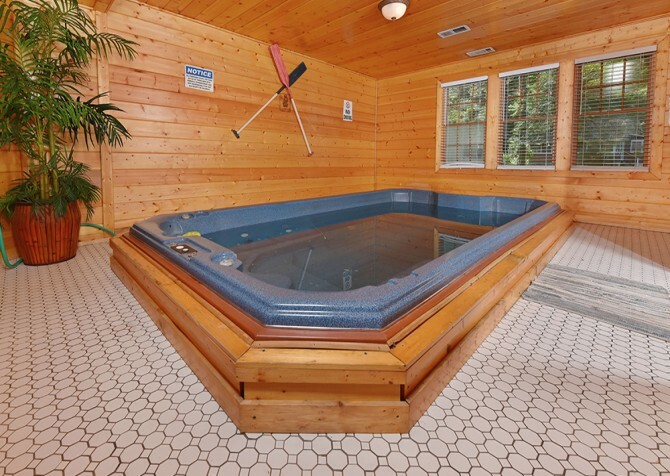 Splash around in your private pool at this comfortable 4-bedroom cabin about 5 miles from downtown Pigeon Forge. 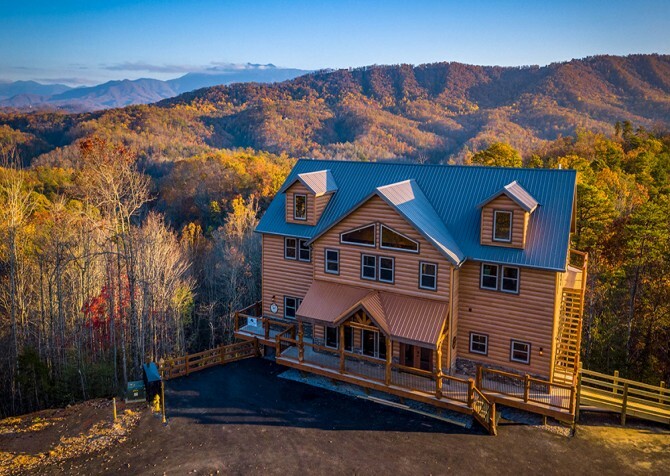 It boasts a private home theater with recliners, a rec room in the loft, and incredible views that remind you why you love the Smokies! 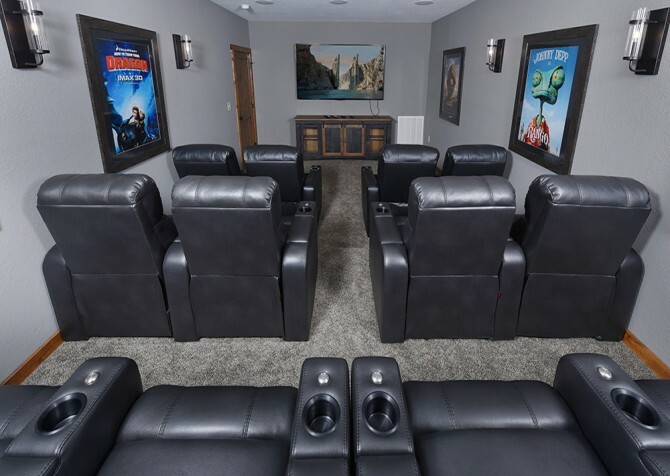 Along with the bright and fun pool room, Angel Haven boasts Wi-Fi, a 75-inch TV and theater seats in a 4K 3D home theater with 5.1 full surround sound, 4K Xbox One S, incredible views, a Keurig K525 coffeemaker, a Sonic-style icemaker! Less than 5 miles from Pigeon Forge, Luxury Lodge features a great location and impressive amenities for getaways with family and friends. Play poker, relax in the private indoor pool, soak in the outdoor hot tub, and wrap up the night in the theater room! 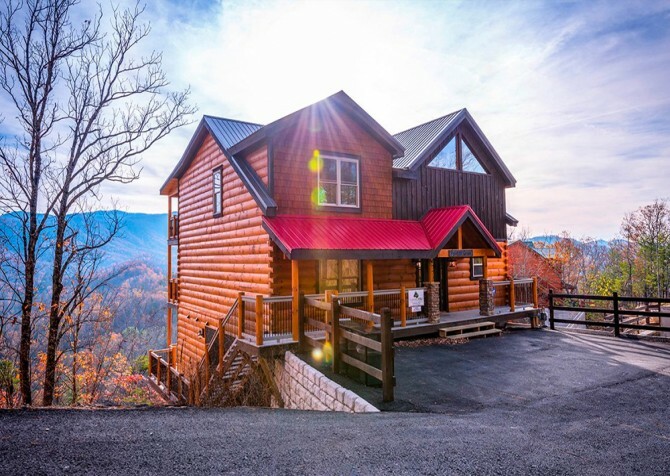 Big fun comes in a cozy cabin package at Gatlinburg Secret Splash, just a few miles from the excitement of downtown Gatlinburg. Soak in a heart-shaped jetted tub, unwind in the hot tub, play pool, and splash around in your private indoor pool at this memorable escape! 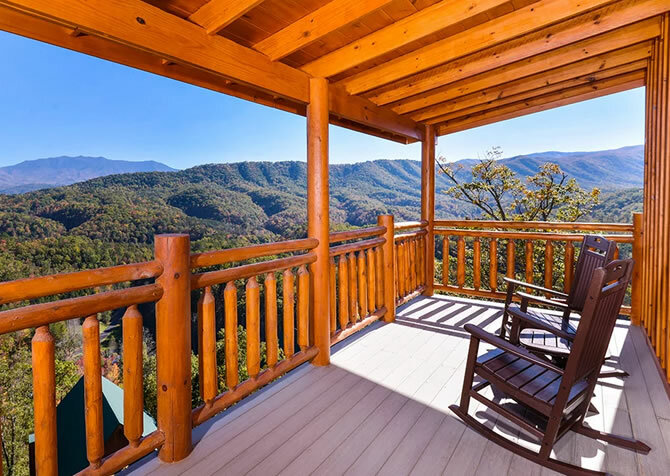 Offering the luxury lodge feel and tons of space for a group getaway with family and friends, this beautiful 8-bedroom Pigeon Forge cabin has it all…private theater room, private indoor pool, pool table, and a deck to take in the beautiful views. Bringing a large group to Pigeon Forge? 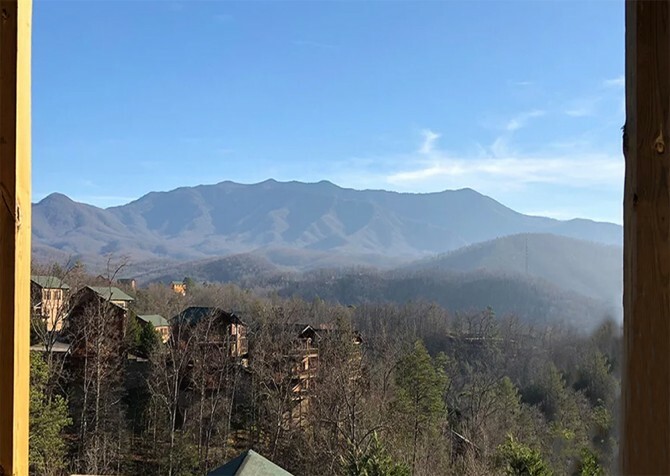 Don’t miss LeConte Bear Plunge, where you’ll find an indoor pool, an outdoor hot tub, a theater room, a fully loaded game room, and access to an outdoor community pool—not to mention amazing mountain views! Located in Bear Creek Crossing Resort in Pigeon Forge, Splash n More has plenty of room for up to 12 guests. Concerned about keeping everyone entertained? 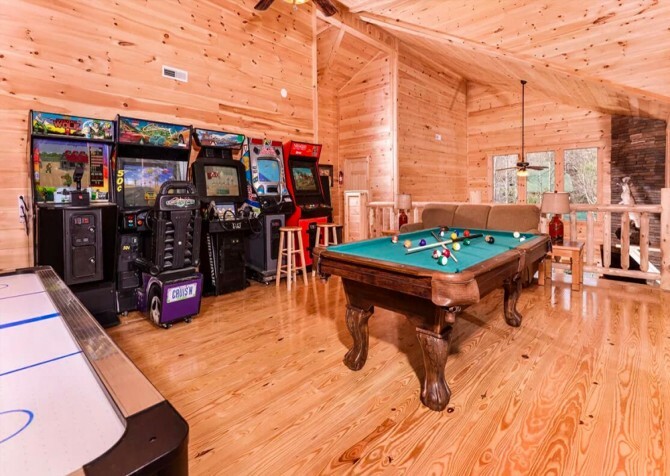 At this 3-bedroom, 3-bathroom cabin, you’ll find multiple game tables plus arcade units in the loft, a private indoor pool downstairs, an outdoor hot tub on the covered deck, and a big screen TV in the living room! 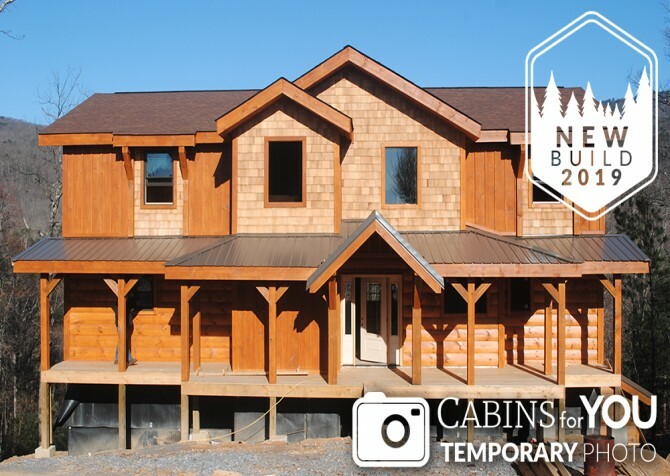 If you want it all – luxurious interiors, incredible mountain views, a private indoor pool, your own movie theater, a hot tub and jetted tubs for relaxing, tons of deck space, and plenty of game tables – check out this awesome 7-bedroom +2 loft-cabin for 28. Just 4 miles from downtown, Majestic Lodge is close to the fun of downtown – with plenty of its own fun at the cabin. Swim in your private indoor pool, play games in the rec room, and have movie night in the theater room with family and friends! 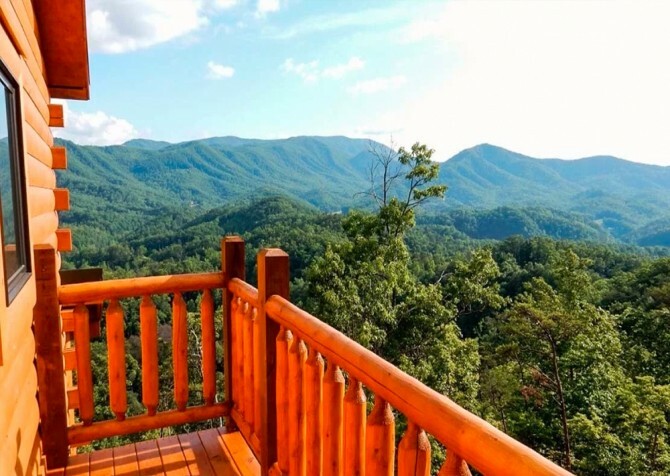 A spacious Gatlinburg cabin with mountain views, Panorama Point is conveniently located near downtown and the ideal size for a family vacation. 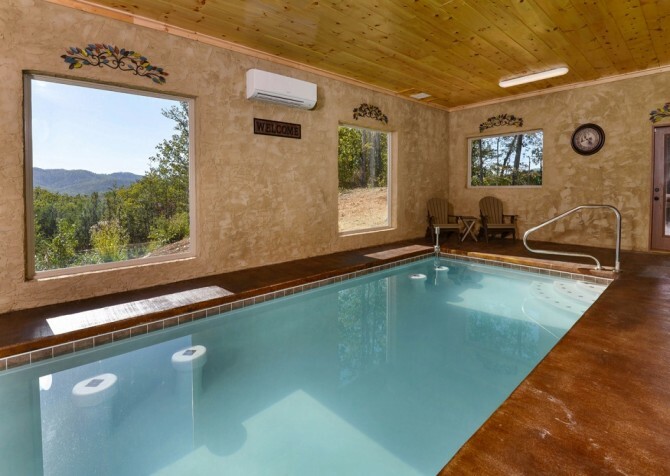 An indoor pool with mountain views, an indoor hot tub, and comfortable interiors make this a great escape. For a pool lover’s dream come true, check out Mother’s Dream! 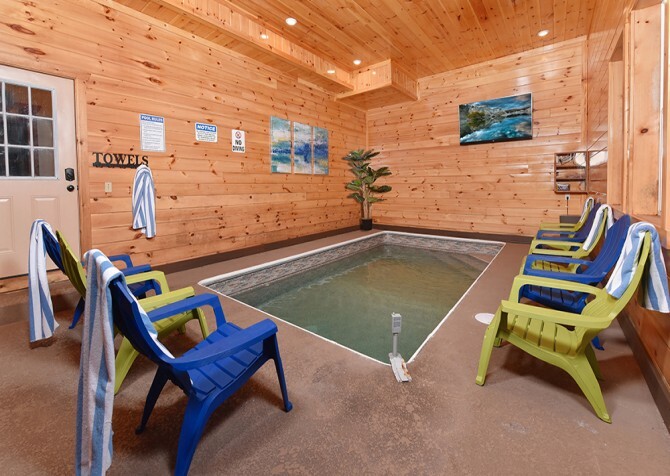 This small group cabin’s indoor private pool is only the beginning of several top-notch amenities found at Mother’s Dream, a semi-private cabin with endless mountain views. Modern meets rustic in this gorgeous cabin for 16 that boasts beautiful wood beams, a sleek kitchen, an ultra-cozy living room, games, big screen TVs, lush wooded surroundings, and awesome mountain views – and a private indoor pool! 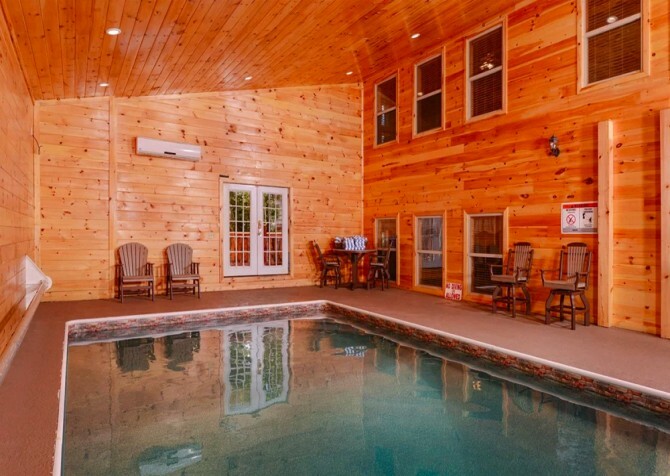 Searching for a cabin with the pool of your dreams? 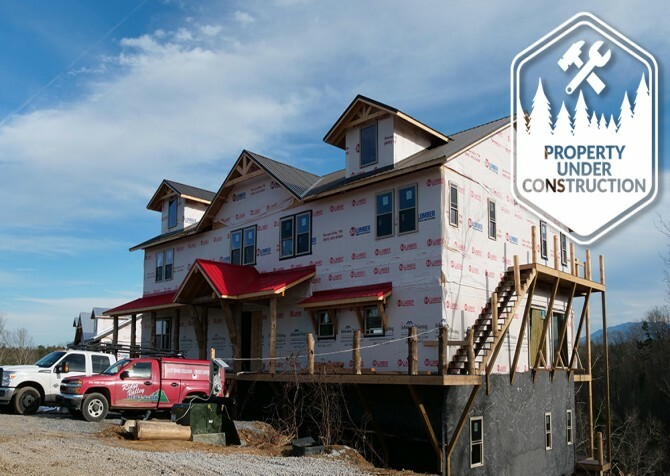 Look no further than Copper River, a 3-story home in Pigeon Forge with 3 king bedrooms, 3.5 bathrooms, and entertaining amenities for all! 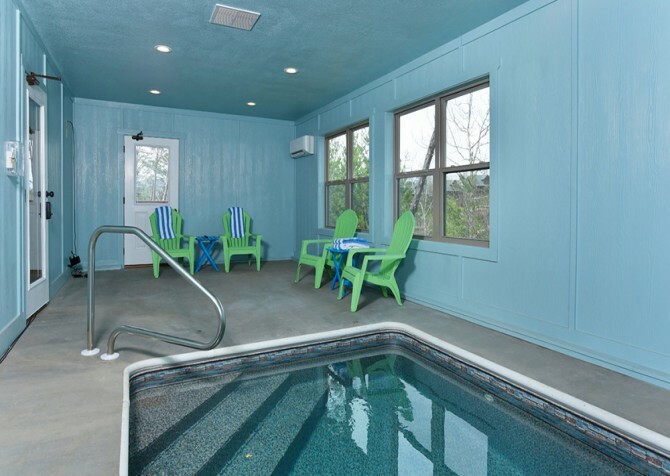 Lounge poolside by the waterfall, relax in the outdoor hot tub, watch a feature film on the big screen TV, and play games all night in the rec room! Featuring 2 king bedrooms, 2 full bathrooms, a fully equipped kitchen, game tables in the rec loft, a steamy hot tub and gas grill on the deck, a relaxing indoor jetted tub, and community pool access through Bear Creek Crossing Resort, Hilltop Hideaway is more than ready for your memorable cabin stay with up to 8 guests in Pigeon Forge, TN. 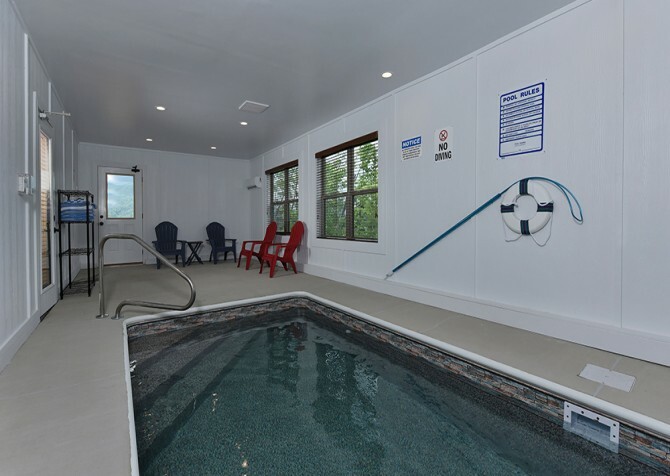 Packed with entertaining and convenient amenities for all, Hickory Splash Lodge offers not only an outdoor hot tub, a wet bar in the theater room, a fully equipped kitchen, rocking chairs aplenty, and complimentary Wi-Fi but also a private indoor pool! 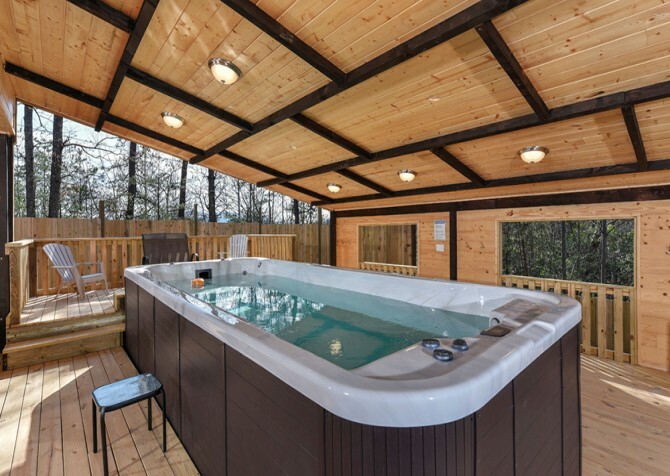 Splash around with family and friends at this 3-bedroom, 3.5-bathroom cabin for 12 in Pigeon Forge. 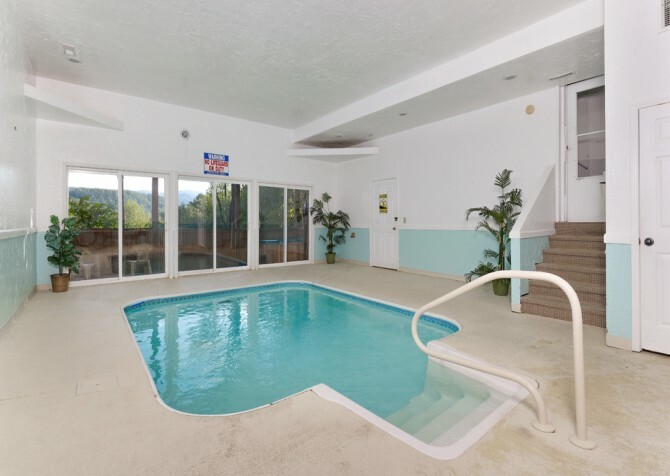 A bright, open private indoor pool awaits you at Smoky Mountain Splash! 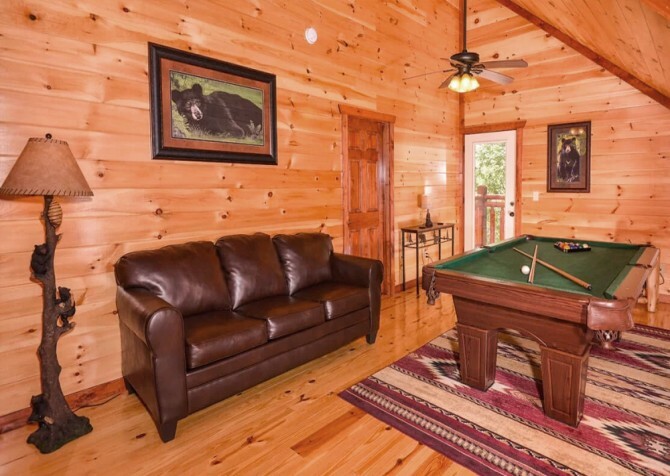 This 3-bedroom, 5-bathroom luxury cabin for 10 boasts floor-to-ceiling windows, pool table and PlayStation 3, and a location just a few miles from downtown Pigeon Forge. 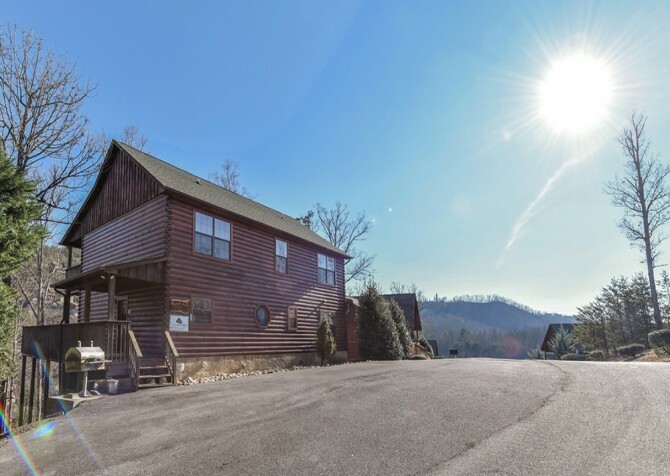 For convenience, comfort, and fun, get away to Fitzgerald’s Shamrock Chalet — a comfortable cabin for 15 near downtown Pigeon Forge. 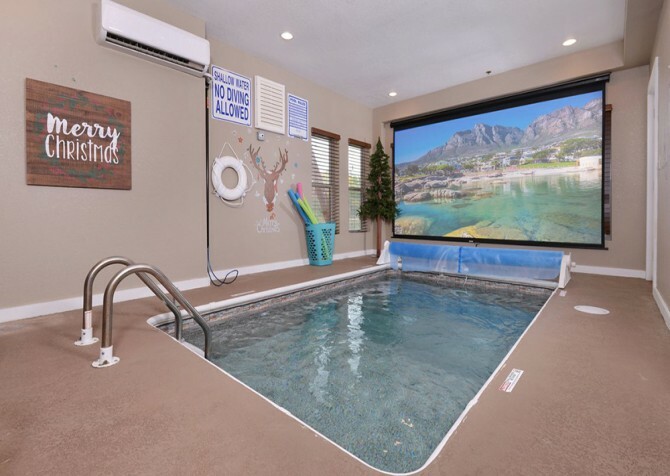 Besides the breathtaking mountain views, home theater, king-size beds, pool table, arcade unit, and outdoor hot tub, this place comes with a private indoor pool! Yep, forget the crowds of summer and enjoy a refreshing pool of your own indoors! Set along the Little Pigeon River, this peaceful, modern 1-bedroom retreat is a perfect blend of style, charm, comfort, and fun. Along with a private indoor pool, it features a kitchen overlooking the water, a pool table, and outdoor dining. Highland Plunge features pool access, a private indoor pool, high-speed internet, a pool table, mountain and wooded views, a theater room for movie nights, big screen TVs, and Blu-ray and DVD players – a short drive from downtown! 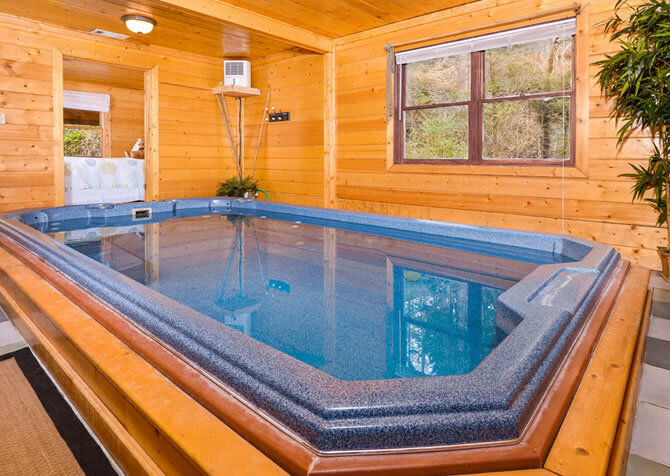 Get ready for a pool party to remember with the private indoor pool at Emerald and Evergreen at Sherwood, a lovely cabin in the Smokies! With 5 king-size beds, a home theater, an outdoor hot tub, and pool table, comfort and entertainment await around every corner. Gorgeous mountain views from the private indoor pool aren’t the only perk here. This pet-friendly Pigeon Forge lodge also boasts 2 rec rooms for fun, double appliances in the kitchen, a movie theater, and tons of deck space for enjoying fresh mountain air! 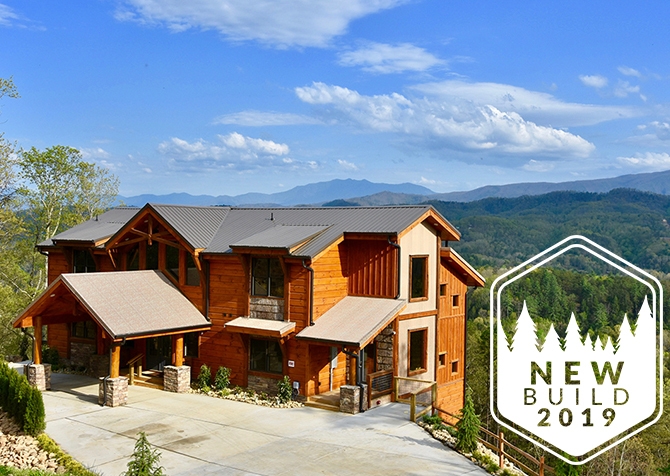 This 4,000+ square-foot cabin boasts a fully loaded game loft, private theater, and a kitchen with double appliances. 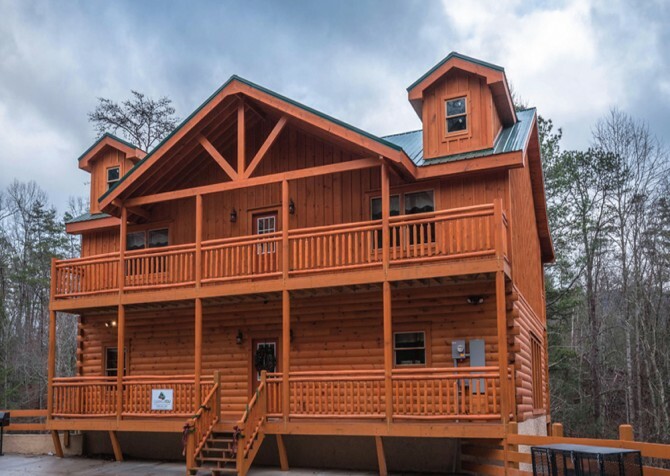 Updated amenities and classy décor make this 16-person cabin your perfect modern mountain retreat for families and friends traveling to Pigeon Forge. 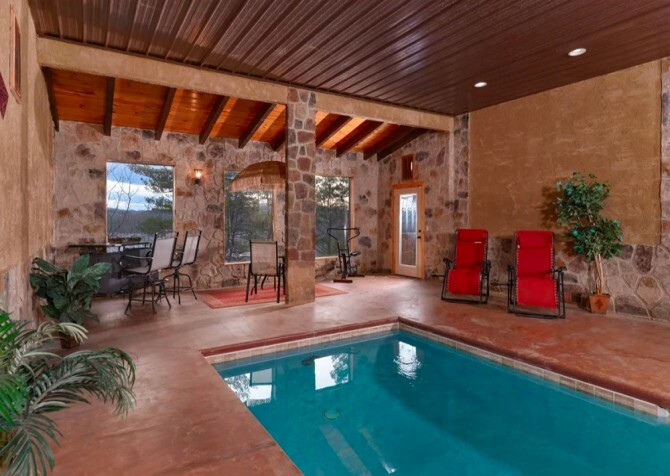 Custom pool house, heated pool with stone accents—this is just the start of the fun at Holiday Springs! This spacious cabin with a private pool sits on a 2-acre lot with no other cabins in sight and boasts plenty of amenities!